In indium bump deposition, there is a tradeoff between closure rate and closure uniformity. A slower closure rate and high closure uniformity is ideal, but often, the closer you get to your desired specs in one area, the more you sacrifice with the other. Closure rate: This refers to the speed that the vias will close or seal during indium bump deposition. During deposition, as the metal is deposited to create the bump, indium builds up on the edge of the via and eventually, it starts to close the hole. How quickly this happens is defined as the via closure rate. A slower closure rate is ideal, as it gives you more lifespan of the via. Closure uniformity: Another important factor in the closure process during indium bump deposition is closure uniformity. It refers to the consistency in the height and size of the bumps being created. If it’s perfectly uniform, then there won’t be any variance in the height size across the bumps. Having tight closure uniformity is the key to creating consistently uniform bumps, which are critical for performance in many applications. Temperature plays an important role in increasing or decreasing closure rate, as well as improving closure uniformity. However, closure rate and closure uniformity have an inversely proportional relationship, so if you improve one, it is often to the detriment of the other. This is because a faster closure rate creates a more crystalline growth, which improves the uniformity. A cooler temperature leads to a slower overall closure rate, which is the goal, but it will also decrease uniformity. A higher temperature will improve the closure uniformity and make that more consistent, but again, because of the inverse relationship between the two, the closure rate will become faster overall. Depending on which factor is more important for your application, closure rate or closure uniformity, you can adjust the temperature in order to hit the right specs and achieve the desired outcome. 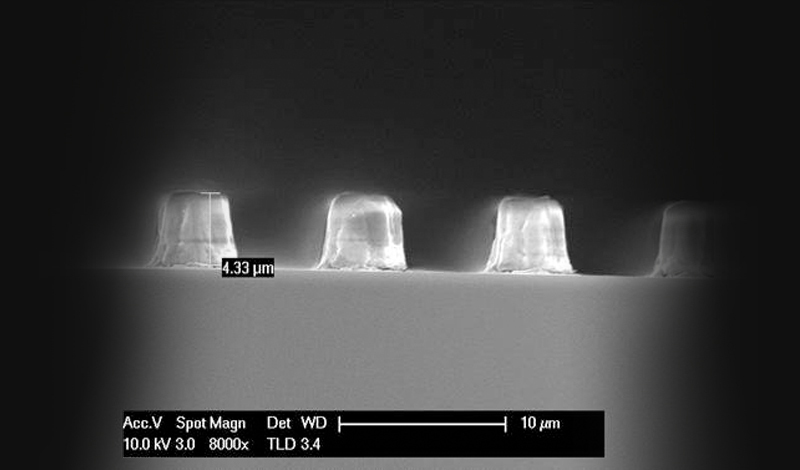 For more information on how substrate temperature affects indium bump deposition, read our technical paper, “Indium bump deposition for flip-chip micro-array image sensing and display applications”.